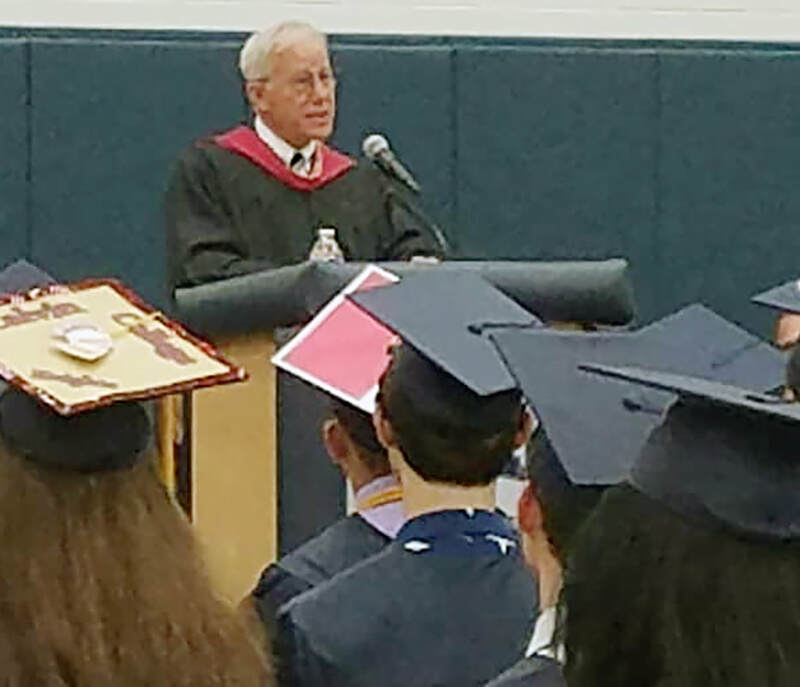 I wanted to let you know that last week, the Distinguished Alumni committee selected John Barr '61 as its first Distinguished Alumni Award winner. On May 25th, we will have a reception in our library, similar to the Hall of Fame one, for Mr. Barr. We will recognize his accomplishments in the library and present him with a plaque. He will then participate in the commencement ceremony that evening, where he will address the class of 2018. I thought the Nalley Foundation would want to know and be a part of this evening. I will get you more specific times as it gets closer. "John Barr is a true leader in the worlds of business and the arts and a friend. The committee could not have made a better choice. We are proud that he is a partner of the Carlin Nalley Foundation," John Bartels, Lisle Class of 1985, CNF Board President. I’m a graduate of the Main Street Elementary School in Lisle, now long gone. Miss Schiesher, the Principal, carried a giant ring of metal keys. One day during recess, she saw something she didn’t like, and rapped those keys so loudly on the school windows that everyone on the entire playground froze. I thought the window would shatter. She is probably watching us now. I’m also a graduate of Schiesher Junior High and, of course, this High School. From first grade through high school my home was at the top of the hill where Warrenville Road runs up from Route 53. I remember two things from 8th grade. With my best friend Wayne I learned how to make black powder––gunpowder––in our basement. We didn’t burn down the house, but a basement flooding with choking yellow smoke got my mother’s attention. And I was, like many a young person, smitten by Thoreau and his famous book about going to live in the woods at Walden Pond. I announced to my parents that I would move out of the house, build a log cabin down by the little pond near our house, and live like him. I spent the afternoon looking for timber, found none, and moved back into my bedroom that night. I’m still smitten with Thoreau. For summer jobs I worked at a truck farm, now long gone, and at the Morton Arboretum. Penny, my wife and high school classmate, worked summers de-tasseling corn. When I was a senior I again marched into the living room and informed my long-suffering parents that I was going to be a poet. My father, who was a good man but a practical one, said, “At least go to college. Then if you become a poet, people will think you’re an eccentric and not just a beach bum.” Good advice. At one of our reunions years ago I asked a classmate, who is a psychologist, why the memories and moods of adolescence remain so vivid as we grow older––they really do stay with you for life. She gave a one-word answer: “Hormones.” But I think it’s more than that. Recently someone wrote, “All of us are our first zip codes.” What the writer meant is that the place where we grow up shapes and determines the basic person we will be for the rest of our lives. Over the course of a long life that basic person will be tested and refined. Your life will include things not now foreseeable. For us there was a war in a place we never heard of called Vietnam. For you the higher education, business and government of today are in such convulsion that no one can know what awaits you. But how you deal with those things, foreseen or not, will come out of the values and character of the person you are today. Our high school class, the Class of 1961, was only 52––less than half the size of yours. It was made up of wonderful, memorable individuals. There were several marriages in our class and within the school. Penny and I were one of those, but I had to wait. She was the Homecoming Queen and I was the class nerd. She dated the football captains––and I couldn’t get any dates. Several years later, when we were in college, we reconnected. After a three-year, long-distance courtship, I proposed to Penny from a Navy destroyer floating around in Tonkin Gulf. In a few months we’ll celebrate our 50th wedding anniversary––but that puts us well down the longevity list of schoolmates whose marriages from that time have lasted. My business career took us East to New York for many years. Here is what is strange about New York City: It’s mostly made up of people who moved there from someplace else. And when they come they often change identities. Three weeks after their arrival, they self-identify as “New Yorkers” or “Easterners” and don’t really want to talk about where they came from. Not so for us. We lived and worked there for 30 years, and raised our children there, but when we met fellow Midwesterners the first subject was always where we came from. We’ve made wonderful friends wherever we have lived, thanks especially to Penny. But the friendships that hold a special place for us are the first ones, the ones from Lisle. And that is why the email from Principal Howard about this historic alumni honor is so deeply meaningful to me. It was a call from home. I wish each of you all the glory you desire, and all the joy you deserve. 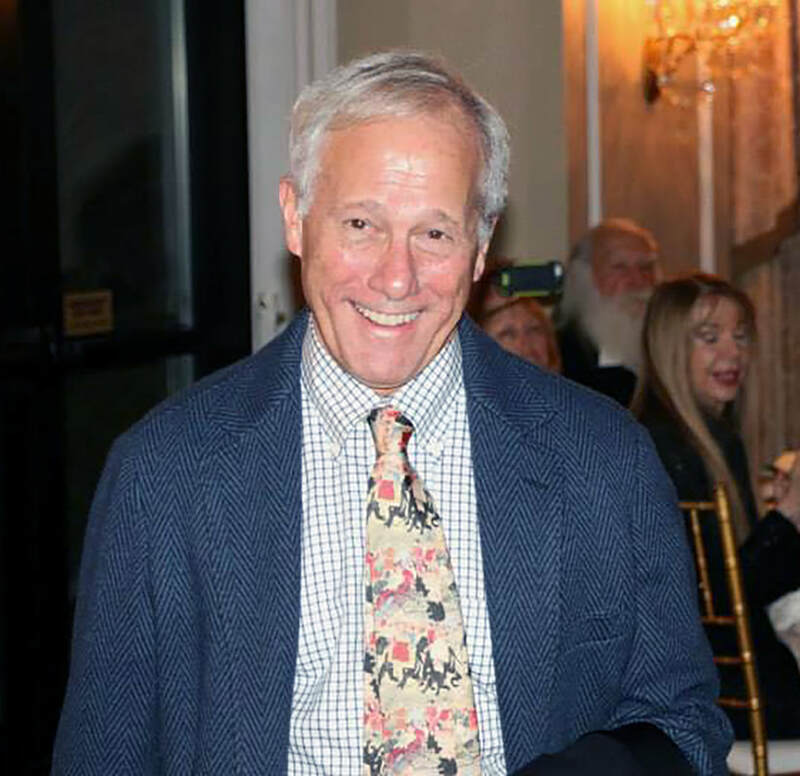 John Barr at the Benefit for Literacy Gala was honored as 2013 Individual Leader in Literacy for his contributions with the Poetry Foundation. — at Oheka Castle. Barr grew up in Lisle, Illinois and earned a BA in English from Harvard University on an ROTC scholarship. After serving in the Navy for five years during the Vietnam War, he returned to Harvard Business School to earn an MBA. Barr's poems have appeared in many magazines and journals, and his books of poetry include The Hundred Fathom Curve (1997)—expanded and updated as The Hundred Fathom Curve: New & Collected Poems (2011)—and the mock-epic Grace: Book One of the Adventures of Ibn Opcit (1999, 2013) and Opcit at Large: Book Two of The Adventures of Ibn Opcit (2013). He lives in New York and Chicago. John Barr served as the first president of the Poetry Foundation from 2004 to 2013, where he worked with the board to develop the Foundation's strategic plan and to build a permanent home for Poetry magazine, the first in its 100-year history. He has taught in the graduate writing program of Sarah Lawrence College and has served on the boards of the Poetry Society of America, Yaddo, and Bennington College. 1990: Founder Barr Devlin Assoc. Moderated by John Barr, president of the Poetry Foundation, this distinguished panel featured three American veterans who were prisoners of war in different conflicts. They discussed their experiences as POWs and how they endured their time in captivity.